A rescue boat stranded in the middle of the Mediterranean with more than 600 asylum seekers on board could head for the city of Valencia after Spain said it will accept the ship. 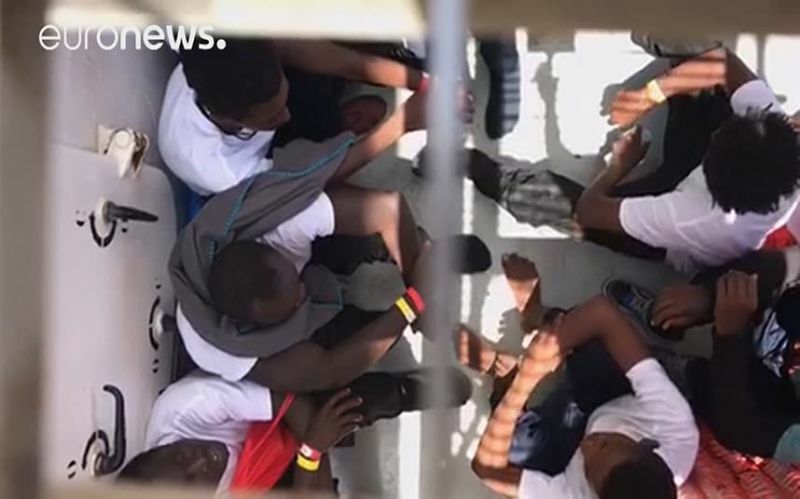 The crew of the Aquarius boat had said it had food and water for just two to three days, amid a tense standoff between Malta and Italy. 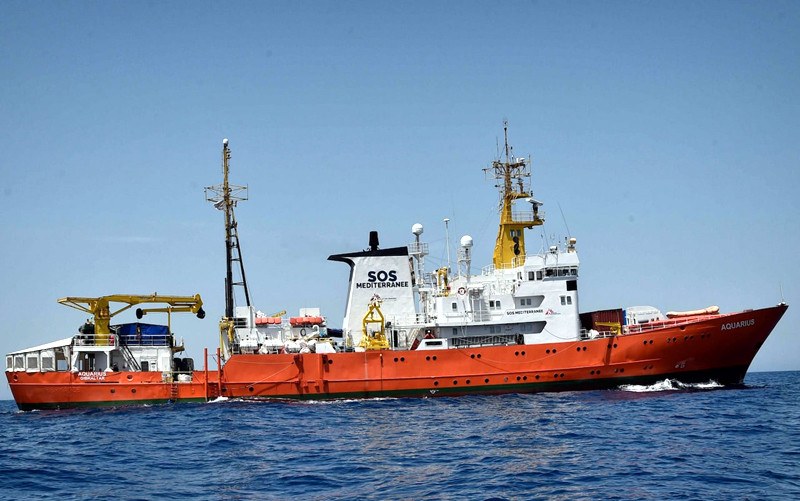 Rome and Valletta have both refused to accept the Aquarius, which was left in limbo between Sicily and Malta until the Spanish prime minister’s office said it would be accepted by Valencia. The Aquarius, operated by the humanitarian organisation Medecins Sans Frontieres, has 629 migrants on board after carrying out a series of rescues off the coast of Libya at the weekend. They include 123 unaccompanied minors, 11 younger children and seven pregnant women. The number of migrants on board is well over the ship’s capacity of 550 people. Spanish Prime Minister Pedro Sanchez, who took office just over a week ago, has given instructions for the boat to be admitted to the eastern port of Valencia, his office said in a statement on Monday afternoon. If the Aquarius began to run out of food, water or medicines, Italy could have sent vessels from Sicily, 35 nautical miles away, to replenish supplies. 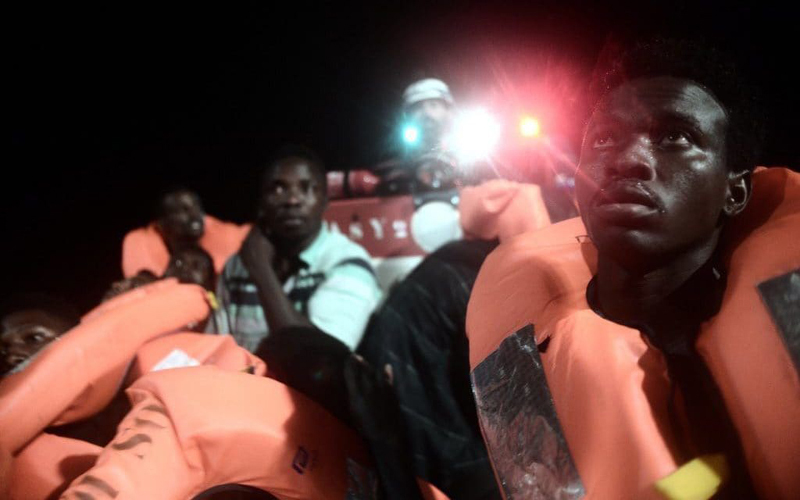 Many of the adults on board, particularly the men, have scars and injuries from having been beaten or tortured in Libya, where migrants are routinely subjected to shocking human rights abuses, the crew said. Others are suffering from burns caused by the noxious mix of petrol and seawater that often sloshes around in the bottom of the rubber boats in which the migrants are packed. “All the migrants are exhausted and dehydrated,” Dr Beversluis told La Repubblica newspaper. The closure of Italy’s ports to the Aquarius was announced on Sunday by Matteo Salvini, the interior minister, who is also the leader of the hard-Right League party. He has long called for “the business of clandestine migration” to be shut down and has accused NGOs of operating a “taxi service” that brings largely economic migrants, rather than refugees, from Libya to Italy. He posted a photo of himself in Twitter, staring at the camera with his arms crossed, under the hashtag #chiudiamoiporti – “We’re closing the ports”. He said Italy would deny permission to a second NGO vessel, with hundreds more migrants on board. "Today the Sea Watch 3 ship of a German NGO flying a Dutch flag is off the Libyan coast waiting to take on the umpteenth load of immigrants to bring to Italy again," Mr Salvini wrote on Twitter. Giuseppe Conte, Italy’s new prime minister, said that the country had once again been abandoned by the rest of the EU and left in “total isolation”. The government accused Malta of having refused to accept boatloads of migrants for years, instead palming off the responsibility to Italy. But the mayors of several Italian port cities, including Palermo, Naples, Reggio Calabria and Messina, said they were ready to defy the government and accept the migrants. In reality, however, the mayors would need the cooperation of the Italian coast guard and other national authorities in order to accept the stranded migrants. 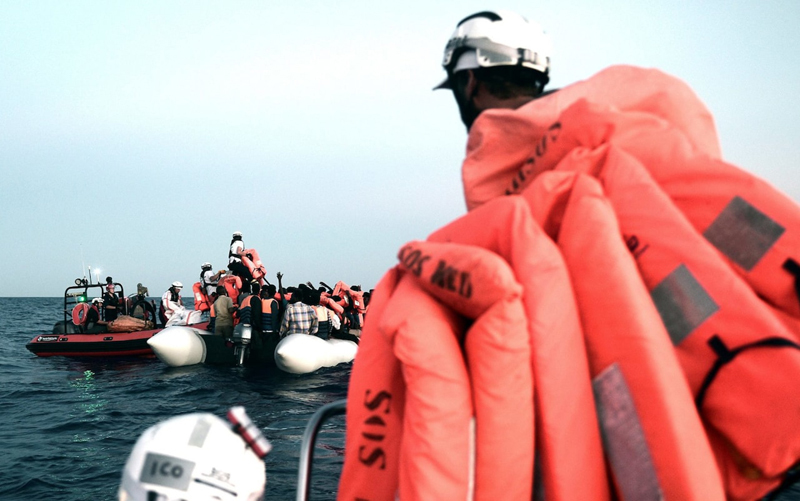 MSF called for a swift end to the crisis and a safe port in which to disembark the migrants. The charity retweeted a video on Twitter of migrants praying onboard. As they woke up on Monday morning they began to ask the crew why the ship was no longer moving. 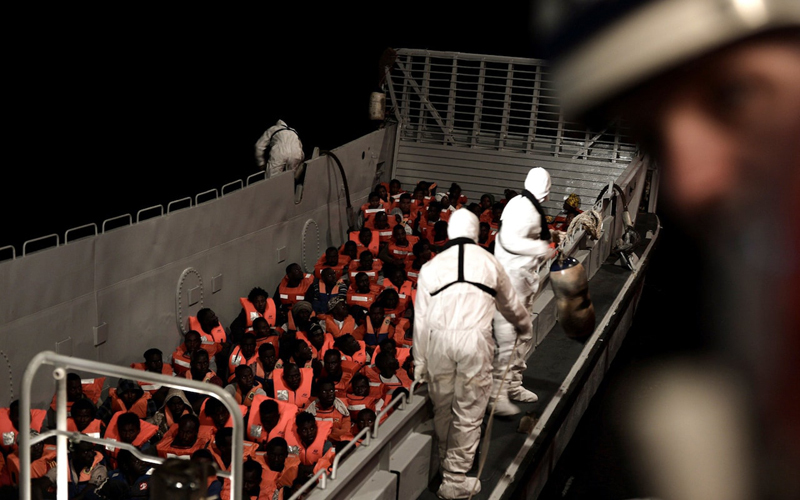 “All 629 people rescued in Mediterranean are unaware of ongoing diplomatic standoff,” MSF tweeted on Monday.